Analysis of H2, O2, Ar, N2, CH4, CO, CO2, Kr, Ne, Xe, He in % level. 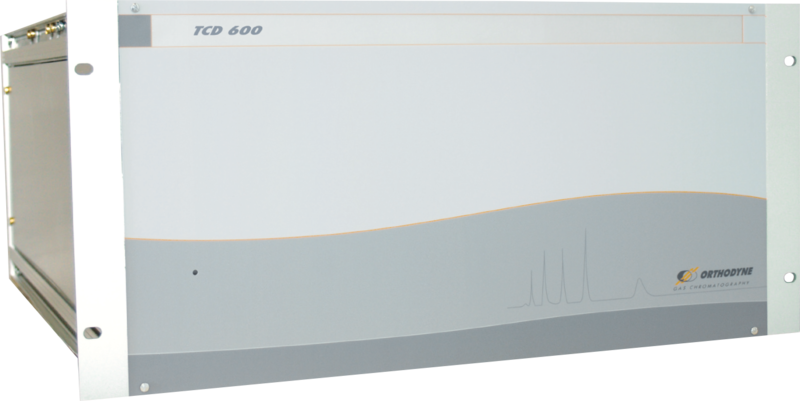 The TCD Gas Chromatograph is not as sensitive as other detectors but it is non-specific and non-destructive. A TCD detector consists of an electrically-heated wire or thermistor (tungstenrhenium wire). The temperature of the sensing element depends on the thermal conductivity of the gas flowing around it. 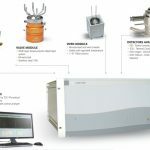 Changes in thermal conductivity, such as when organic molecules displace some of the carrier gas, cause a temperature rise in the element which is sensed as a change in resistance. 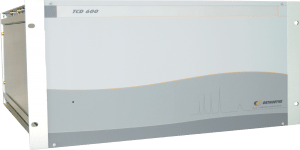 Best gases for TCD Gas Chromatograph : H2 or He. 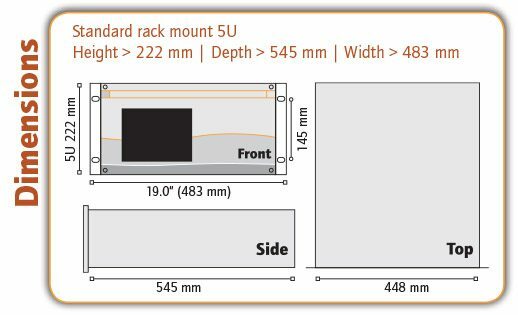 Because of highest thermal conductivity (0.170 and 0.141 J/(K.m.s), respectively, to be compared with N2 0.024 J/(K.m.s) for N2). For Helium and Hydrogen the temperature conductivity lowers when solute is eluted. 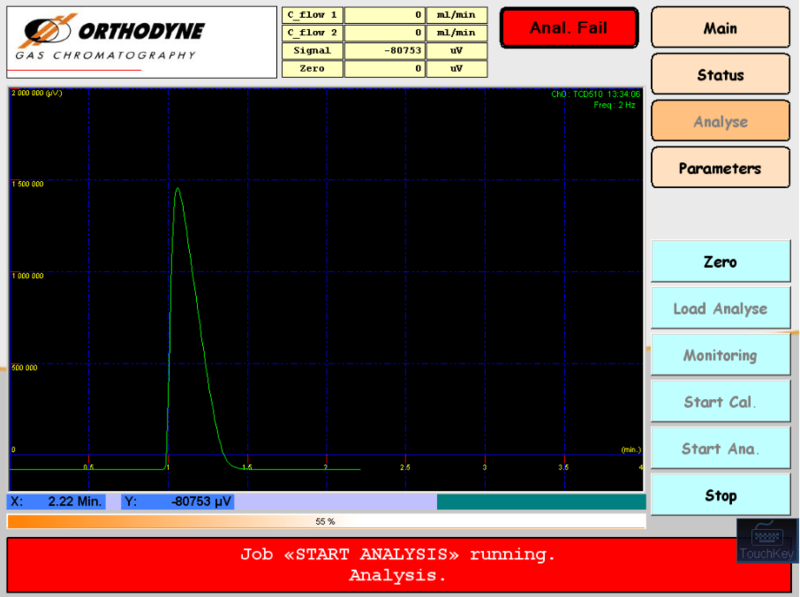 The sensitivity is inversely proportional to flow rate: the detector is more sensitive at lower flow rates. To increase sensitivity, the temperature of the block should be maintained at lowest temperature that allows all the solutes remain gaseous. This new line 500 has been designed for stand alone operation. 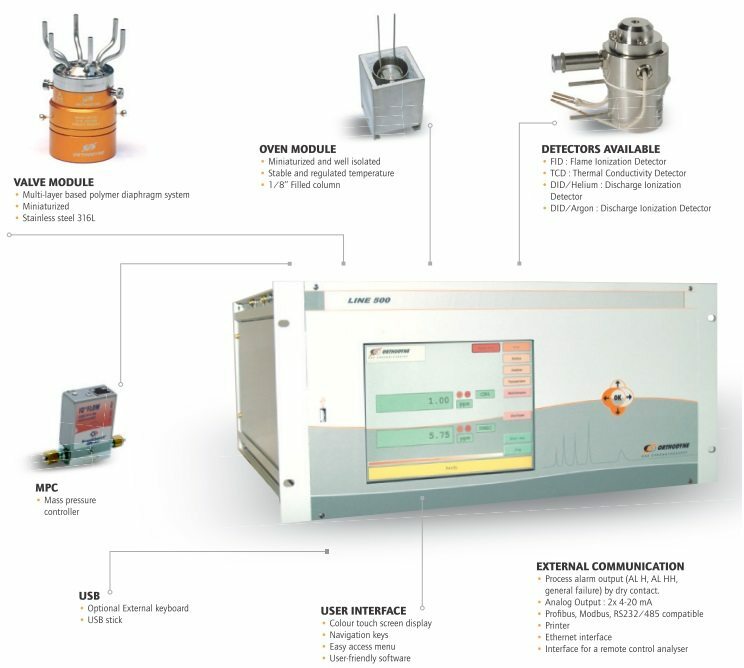 Easy configuration and quick start-up make this new system ideal for process gas analysis. 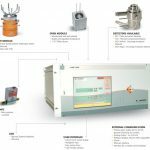 In addition to its user-friendly interface (touch screen display), the new line 500 has its own chromatographic software that allows the concentration of each impurity to be displayed directly. Moreover, the new line 500 can be remotely controlled through Ethernet or Internet. 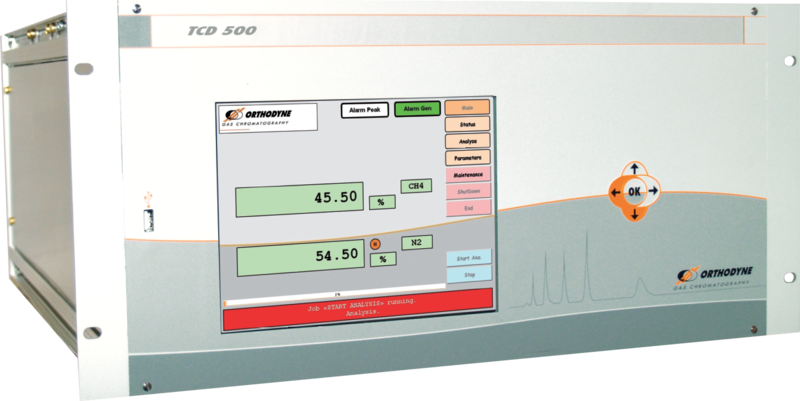 The new line 600 has been designed for working with Chromdyne software on a computer. 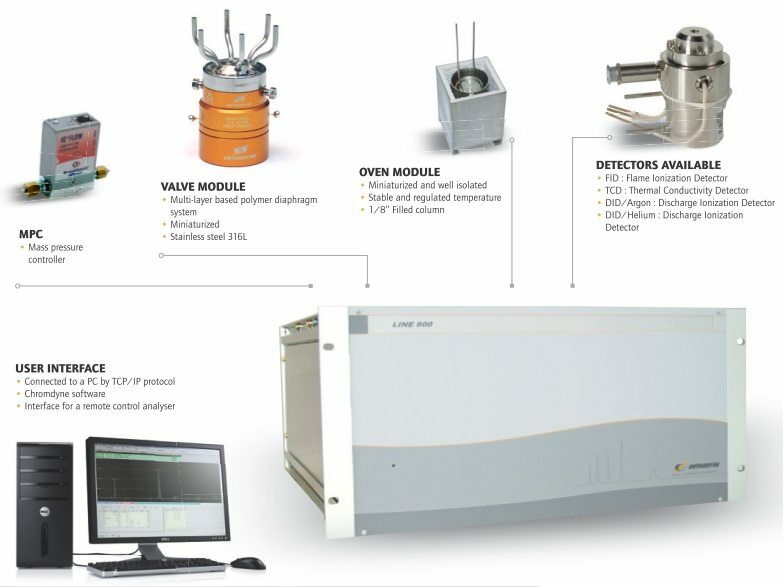 It make this new system ideal for laboratory process gas analysis. Moreover, the new line 600 can be remotely controlled through Ethernet or Internet. 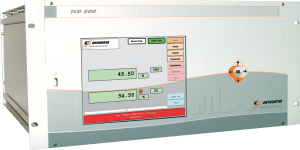 The range can be adjusted between 1ppm and 100% following your request.